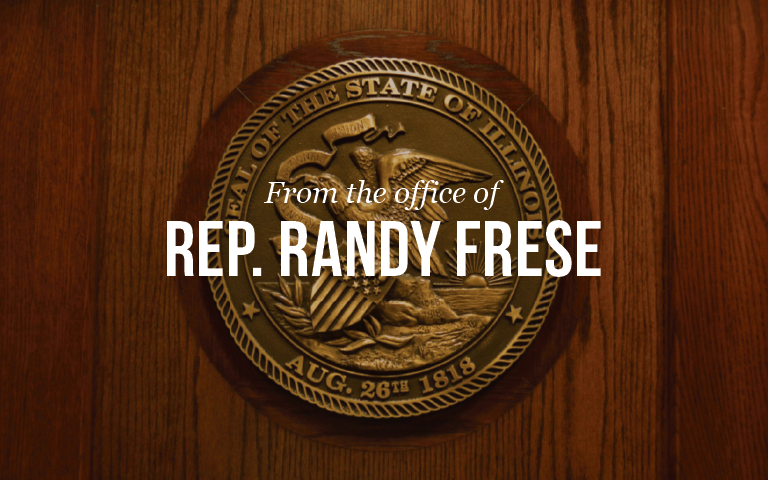 As your State Representative, I have seen across all our communities how trying the past month has been on our District, as storms have ravaged through much of our region causing floods, power outages, and property failures. Many residents have had to struggle without power after the severe storm weather, during which Quincy Mayor Kyle Moore declared a State of Emergency after wind speeds reached up to 70 mph. I fielded calls with emergency teams and encouraged homeowners to report damages to their homes and the surrounding area. Through this work I can say that there is no one more proud to represent their home region than I am today. Mother Nature has not been kind to us, amidst a State budget deadlock no less, but I have watched neighbors and communities come together to help rebuild the damages of the past month, and I am very grateful to everyone that has reached out a hand to help during the tougher times. With the forecasts changing however, I hope everyone finds time to enjoy the back end of our summer. · Budget stalemate continues in Springfield. As the State of Illinois entered the fourth week of the new fiscal year without a balanced budget in place, the Democrat majority again refused to negotiate in good faith and instead continued their piece-meal approach to the budget crisis. In the House, Democrats again backed a temporary budget to fund certain services at a level that is not sustainable over the course of the entire fiscal year. House Amendment 1 to HB 4143 was adopted by a narrow majority of Democrats, but did not receive enough votes to be passed on Third Reading and was therefore held for future consideration. The Democrat majority continues to insist on spending levels that are unsustainable. The Governor’s Office of Management and Budget believes this plan will ultimately require the expenditure of over $36 billion of GRF taxpayer resources for FY16. The Democrats’ bills march the taxpayers of Illinois toward a $4 billion unbalanced budget one month at a time. House Republicans continue to stand united in our support for a truly balanced budget that protects the interests of taxpayers, working families and seniors. · Court rulings on state employee payroll. On Friday, July 17th the Illinois Supreme Court denied Attorney General Lisa Madigan’s request for direct appeal and consolidation of the two matters involving state employee payroll. Also on Friday, the First Appellate Court (Cook County) issued an order vacating the temporary restraining order limiting payroll to the federal minimum wage and returned the matter to the circuit court for evidentiary hearings in support of the relief requested by the Attorney General. With conflicting court rulings over whether state employees should be paid in the absence of a state budget, Comptroller Leslie Munger is continuing to process payrolls to all state employees in their full amounts. · Due to the Democrats’ failure to pass legislation specifically prohibiting Cost of Living Adjustments (COLAs) for state legislators for FY16, effective July 31st, General Assembly members will be receiving a 2 percent COLA on their base salary. Member stipends will also increase by 2 percent. Democrats have used the excuse that since funding was not included in the FY16 budget, there will not be a COLA. They neglect to mention that no budget has been approved and signed into law. In addition, no substantive bill has been passed to deny the COLA. The Comptroller believes she must implement the COLAs because there was no General Assembly action taken to deny them. Speaker Madigan has called us back to Springfield week after week for continuous session in an effort to break our resolve and raise taxes. The Democrats want to again raise taxes on working families to pay for more spending, including a pay raise for themselves. House Republicans are pushing for passage of HB 4225 to block the pay raise. Our legislation specifically prohibits cost-of-living adjustments for members of General Assembly and other elected state office holders in the new fiscal year. For the third week in a row, House Republicans moved to discharge HB 4225 from the Rules Committee so that a vote could be taken to reject legislative pay raises. And for the third week in a row, House Democrats denied our request. It’s unconscionable that the Democrats would even consider accepting a pay raise. Speaker Madigan needs to demonstrate some fiscal responsibility. He needs to immediately release HB 4225 from Rules so we can reject the pay raises and allocate those dollars where they can best help our communities. · Illinois Medicaid expansion sign-ups double predictions. Illinois is among a dozen states where the number of new enrollees surpassed projections for the expansion of Medicaid under President Barack Obama’s health law. While the surge in sign-ups lifts the number of insured people, it has also stoked worries about the future cost to taxpayers. More than twice as many Illinois residents have enrolled under the expansion than was projected by former Democratic Gov. Pat Quinn’s administration. It expected 298,000 people to sign up in 2015, but 623,000 newly eligible Illinoisans enrolled by the end of June. Sign-ups have outstripped forecasts in at least a dozen states, according to a new analysis by The Associated Press. With more people getting free health care, costs to Illinois and Cook County will increase as the federal government scales back what it pays from 100 percent to 90 percent by 2020. In 2020, the Medicaid expansion will cost the state $208.6 million and Cook County $72.6 million, according to new projections from Gov. Bruce Rauner’s administration. That year, the federal government’s share of the Medicaid expansion costs will be $3.03 billion. · New law could prevent welfare benefits from going to the deceased. A new state law could bring an end to the practice of accidentally doling out welfare benefits to dead people. Under legislation sponsored by State Rep. Dwight Kay and signed by Gov. Bruce Rauner, the Illinois Department of Human Services will begin a monthly review of state death records to determine if any of the deceased are still receiving aid. The new program comes on the heels of two audits showing that millions of taxpayer dollars had been paid out to people who were no longer living. In February, Auditor General William Holland found that the Illinois Department of Healthcare and Family Services last year paid out $3.7 million for medical services to 1,111 people who already had been recorded as dead. That came after Holland found the state had overpaid $12.3 million for medical care to 2,850 dead people in 2013. State officials blamed the problem on an antiquated computer system. Read the story in the Herald & Review. · Wheeler calls on Congress to act quickly to protect military personnel at home. State Rep. Barbara Wheeler has filed a resolution to protect military personnel in the wake of last Thursday’s attack on the Recruitment Center and Navy Operational Support Center in Chattanooga, Tennessee. House Resolution 658 calls on the U.S. Congress to act swiftly to enact laws that allow military personnel to be armed for their protection in light of several terror attacks that have been carried out on U.S. military installations in recent years. “The issue of ensuring the safety of those who protect our nation is two-fold in this day of terrorist threats at home and abroad,” said Wheeler. “We expect our military personnel to be able to defend themselves while overseas, but today they also need to protect themselves at home. For this reason, I have filed a resolution that calls on the U.S. Congress to act quickly to allow our service men and women to protect themselves while serving on home soil.” Read more. · Bryant’s first bill becomes law to protect National Guard members’ jobs. State Rep. Terri Bryant received the Governor’s signature on her first piece of legislation on Tuesday. Back in April, Bryant received unanimous support in the House for HB 3721, a bill designed to help National Guard members keep their jobs. Bryant, whose district shares a border with the state of Missouri, explained the need for the measure. · Legislation to protect human-trafficking victims signed by Gov. Rauner. Though budget stalemate grips Springfield, Gov. Rauner pressed forward with the signing of an important piece of legislation authored by State Rep. Barbara Wheeler. House Bill 2556 is a victory in the ongoing fight against human-trafficking. House Bill 2556 creates the Human-Trafficking Resource Center Notice Act. The legislation provides that specified businesses and establishments conspicuously provide information concerning the availability of the National Human-Trafficking Resource Center (NHTRC). Not only will this legislation help victims of this heinous crime gain access to the resources they need to overcome the trauma they’ve experienced, but also be an avenue for anyone who observes or suspects trafficking of occurring to be able to report it to the proper authorities. Since the NHTRC began offering its services in December of 2007, more than 90,000 potential instances of human-trafficking have been reported, leading to nearly 19,000 cases brought against human-traffickers, saving thousands from the emotional and physical torment of this practice. The vast majority of the tips NHTRC has received came not from victims, but by concerned members of the community, which is why making information about NHTRC more readily available to the public is so important. To learn more about human-trafficking and the NHTRC, please visit: http://www.traffickingresourcecenter.org/. · Celebrating 25thAnniversary of the Americans with Disabilities Act. July 26, 2015 marks the 25th Anniversary of the Americans with Disabilities Act (ADA). Celebrations of the signing of the ADA by President George H.W. Bush on July 26, 1990 are taking place across the nation.